Located in tranquil North Bali, Zen Resort Bali uses a combination of Zen philosophy, Ayurveda, yoga, pranayama and meditation techniques to create a unique holistic wellness experience that will leave you feeling relaxed, rejuvenated and at peace with yourself and the beautiful natural surroundings. The senior staff here are graduates of the prestigious College of Ayurveda in India, and together with the highly trained and experienced local staff, they have created a range of healing packages that can be tailored to suit your unique individual wellness needs. Pregnancy massage is performed regularly in Indonesia to assist mothers in maintaining their wellbeing, providing comfort and muscle strength. During pregnancy, women suffer from all sorts of ailments including heartburn, backaches, swollen ankles, aching muscles, breast soreness and fatigue. Also, women may feel increased stress due the psychological effects of pregnancy, which include changes in body image concern about the baby’s health, motherhood and the challenge in this life-changing event. A very warm welcome to Jamu Spa School Online Booking Website – A place to study authentic traditional Indonesian treatments in Bali. As a pioneer spa school in Bali we are very proud to be your choice to study traditional massage and beauty treatments. Accredited both nationally and internationally, we offer a variety of courses in traditional Indonesian therapies for health and wellness. Our courses range in length from one day to three months. We also cater for private courses and offer diploma courses. We have classes to suit every student, from basic to advance led by professional teachers with years of experience in spa industry. CIBTAC (Confederation of International Beauty Therapy and Cosmetology), based in UK, has been recognized worldwide for over 25 years as an international examination board in beauty and holistic therapies. Renowned for the high level of training and strict quality control, a CIBTAC Diploma guarantee you to be able to work all over the world. Employers recognize the value of your CIBTAC diplomas; they know that you will be safe, competent and professional; an asset to their business. Earlier, a spa was referred to as a resort with mineral springs or a whirlpool bath where a device is used for aerating and swirling water. But over the years, the spa has come to be known as a place to relax and rejuvenate your senses through massage and an assortment of body relaxing substances. 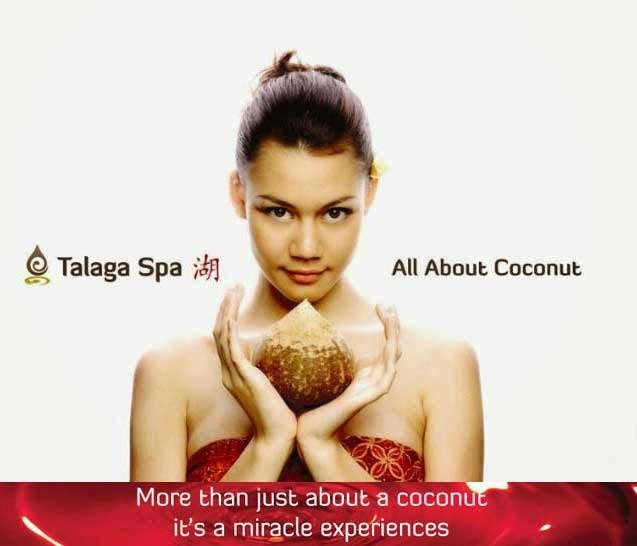 A spa, today, can easily be termed as a synonym of therapeutic healing and health maintenance. A place to study authentic traditional Indonesian treatments in Bali . As a pioneer spa school in Bali we are very proud to be your choice to study traditional massage and beauty treatments. Accredited both nationally and internationally, we offer a variety of courses in traditional Indonesian therapies for health and wellness. Our courses range in length from one day to three months. We also cater for private courses and offer diploma courses. We have classes to suit every student, from basic to advance led by professional teachers with years of experience in spa industry. 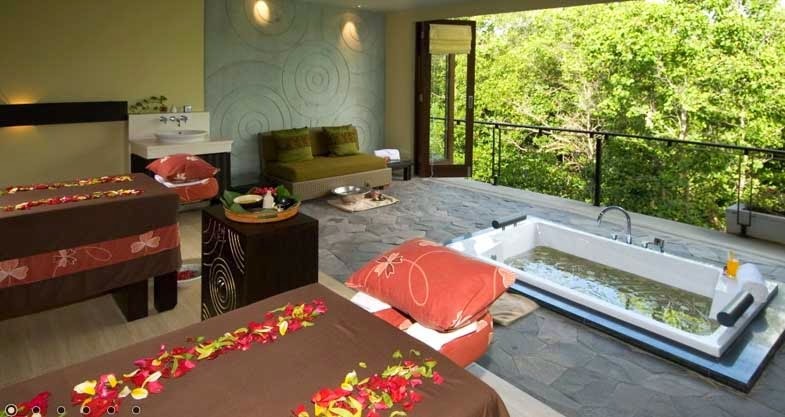 Imagine waking up to the sound of birds chirping and the sight of the sun rising over a lush tropical forest. You make your way to the open-air yoga pavilion for some morning stretching before indulging in a nutritious breakfast made with fruits and veggies from the organic garden. The rest of the day is spent taking dips in the pool, getting pampered at the spa, meditating at a natural pond and learning how to cook exotic Balinese dishes. Welcome to Bagus Jati, a tranquil health and wellness retreat just outside Ubud. In order to provide you with a tranquil environment, we are located in a quiet, peaceful residential area of Seminyak, away from the crowed, noisy areas of Kuta. Nowhere else in Bali will you feel as relaxed or pampered as you will at Murano SPA. 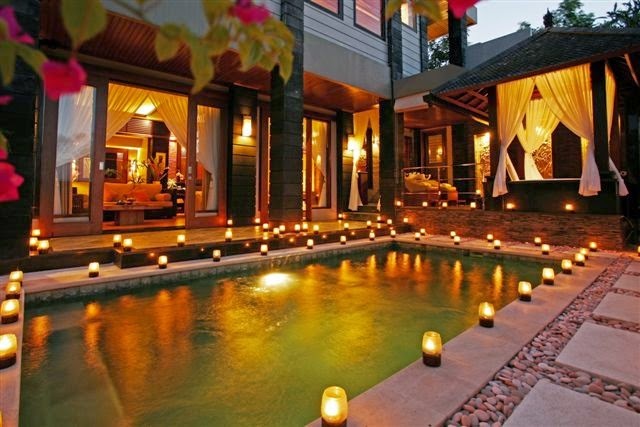 * Stay at Private Villa 5 Hours 30 minutes. 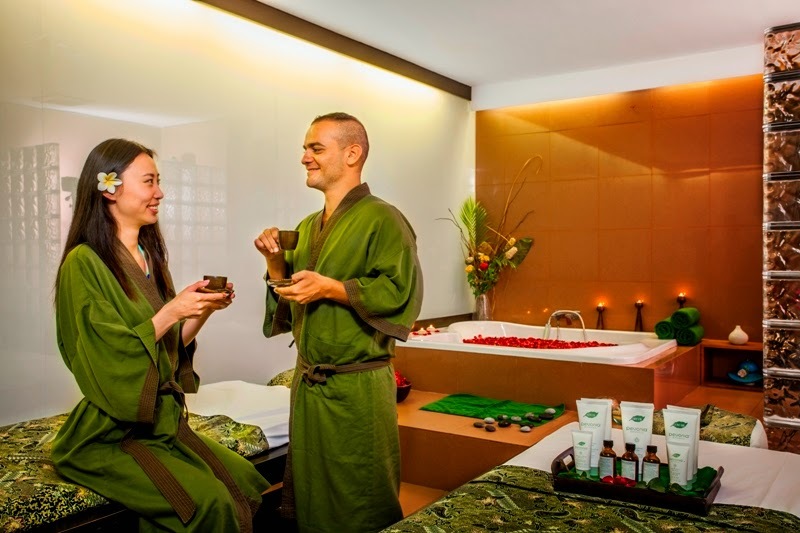 This tour are created to spoil your eyes and pamper yourself with our spa package. This tour is start by watching the BARONG & KERIS dance at BATUBULAN village with the Indian Hindhu Epic story. After the show we will at artisan villages of TOHPATI as the home of Batik and hand weaving cloth, CELUK as the center of gold & silver-smith, BATUAN as the home of traditional Balinese painter, MAS as the center of wooden sculpture. Stop also made at TEGENUNGAN waterfall and visit a Balinese Family to know about Our BALINESE HOUSE COMPOUND with our unique architecture, enter the TRINITY Hindhu Temple as the example of Hindhu Temple with beautiful and amazing carving ornaments.